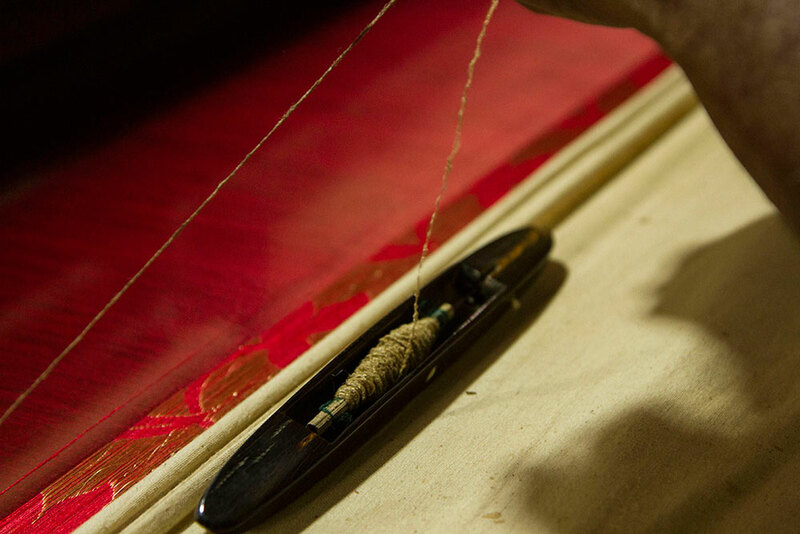 The weaving of these Banarasi sarees is observed at Banaras and currently, approximate forty thousand active weavers are found along with them are active dealers, dyers, designers and supplementary support providers. 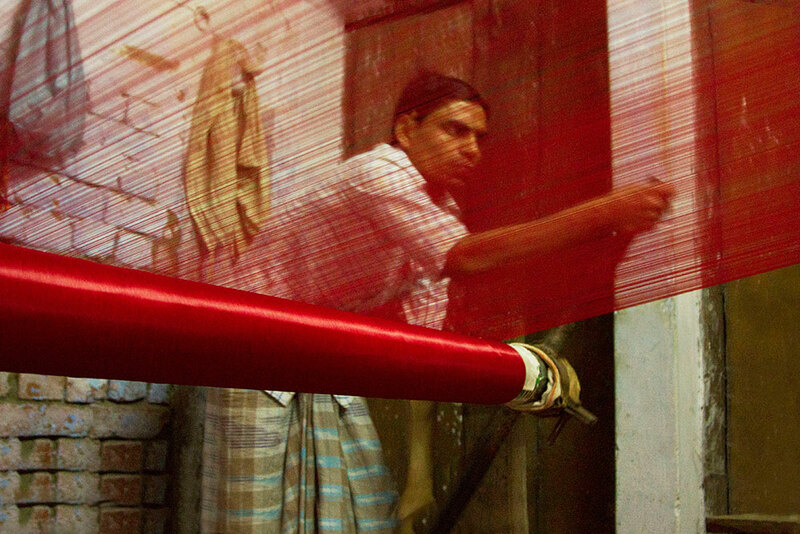 The main product of Banaras Handloom Cluster is saree and the supremacy of it still continues. Banarasi brocade is an important wear for Banarasi brides and there are varieties in Banarasi brocade sarees even. The one that is noted is Organza with zari and silk, as per the designs it is also divided into Jangla, Tanchoi, Vaskat, and cutwork with embroidery designs. 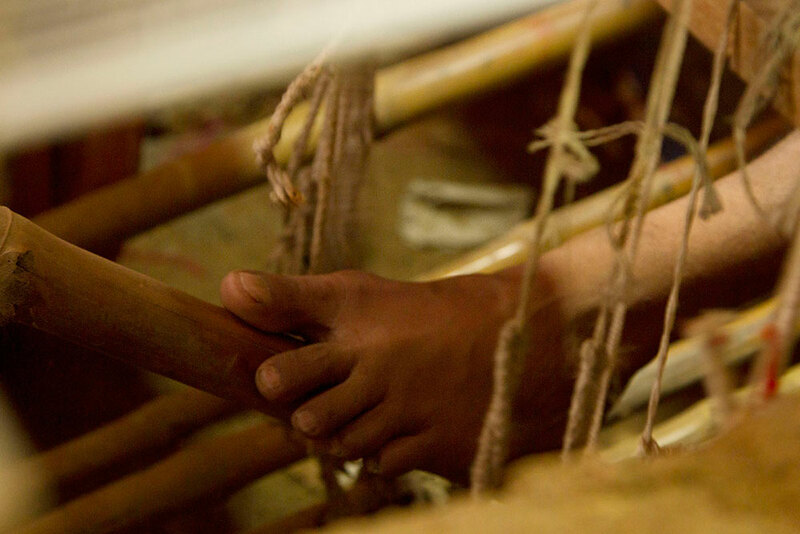 Before the weaving, the silk yarn undergoes few steps and then the weaving begins. 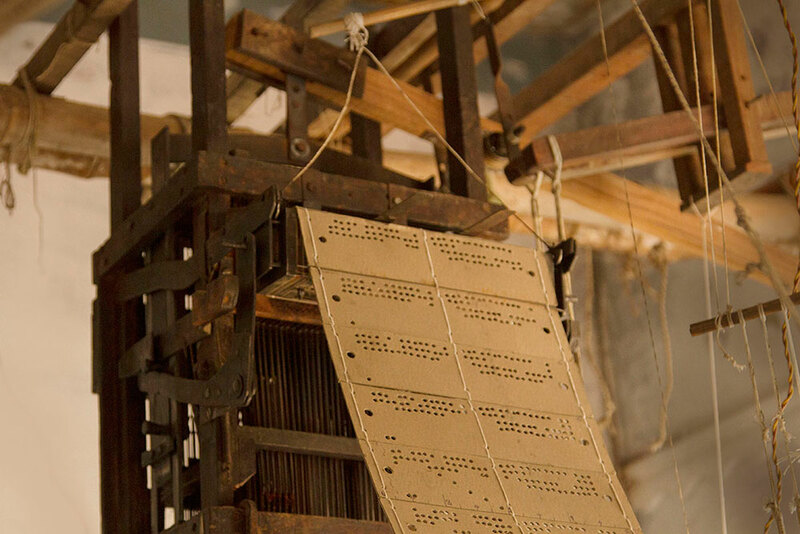 The Jacquard card, spools and beam is set up with suitable color yarns and weaving is done. 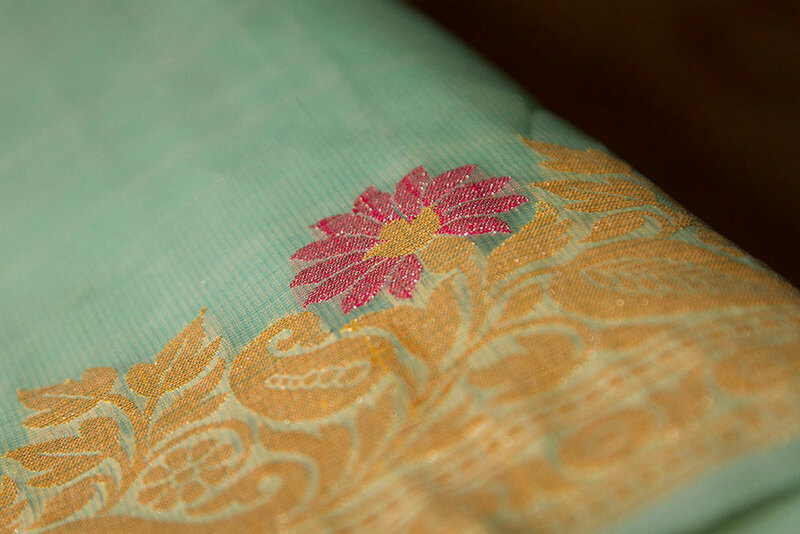 The desired design that is to be worked on the saree is drawn on a sheet of graph paper. The designs sometimes are hand drawn or mostly done in pixel calculations and printed on the graph sheet. This graph sheet becomes the reference to punch the cards. 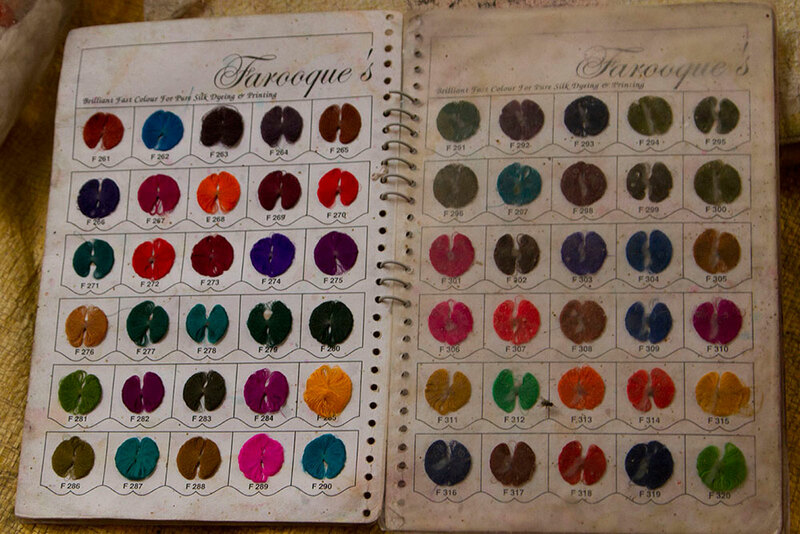 They are made to a set of cards that will be tied together and loaded to the jacquard machine. A large brown sheet is cut into small rectangle sheets of height 3inches and width of 12inches approximate. Then these cards are punched following the graph sheet that will have the desired designs. Once these cards are punched they are tied together. The Jacquard cards are completed to be loaded to the jacquard machine. 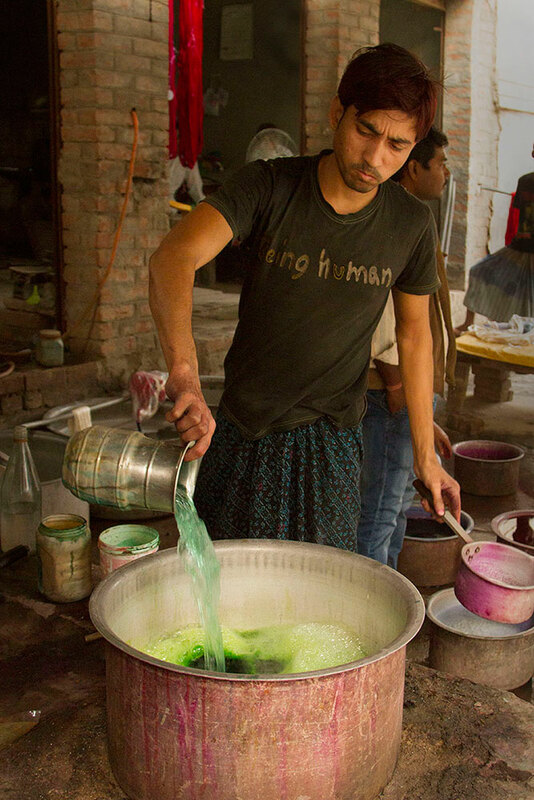 The silk yarns are processed dyed and are available ready in bundles in the markets. 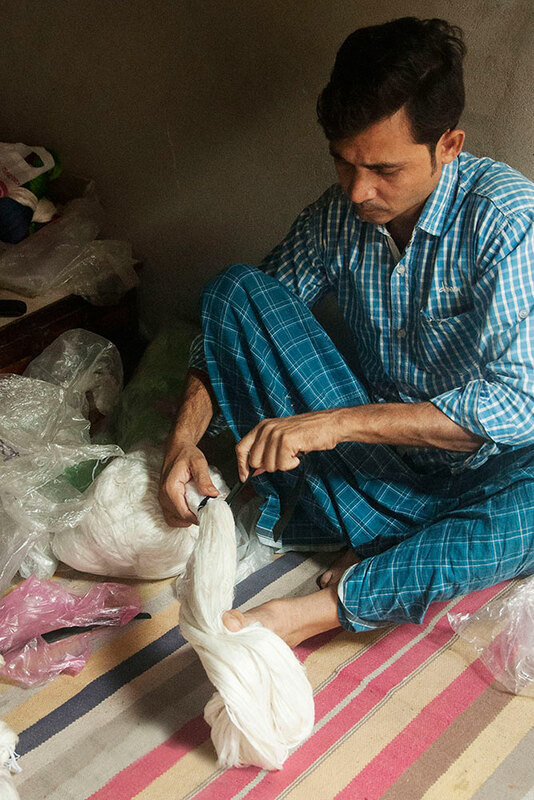 The weavers get the suitable silk threads. 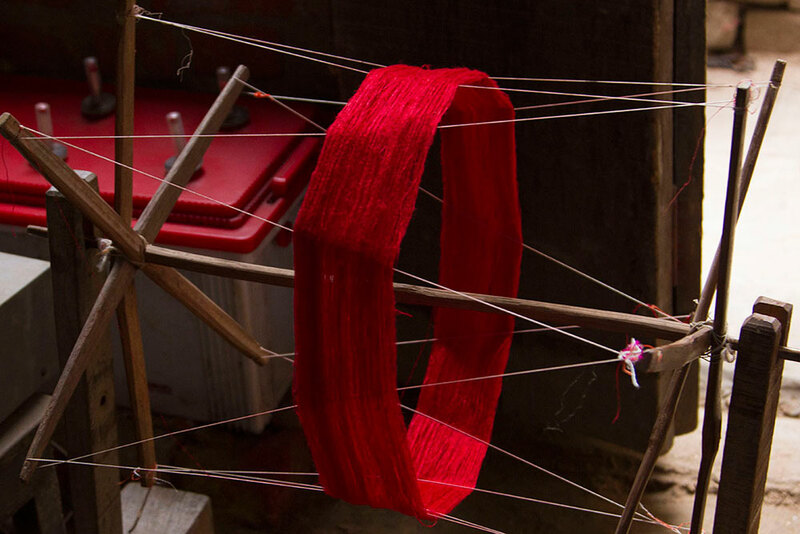 The raw silk yarns are processed they are dyed with suitable colors. 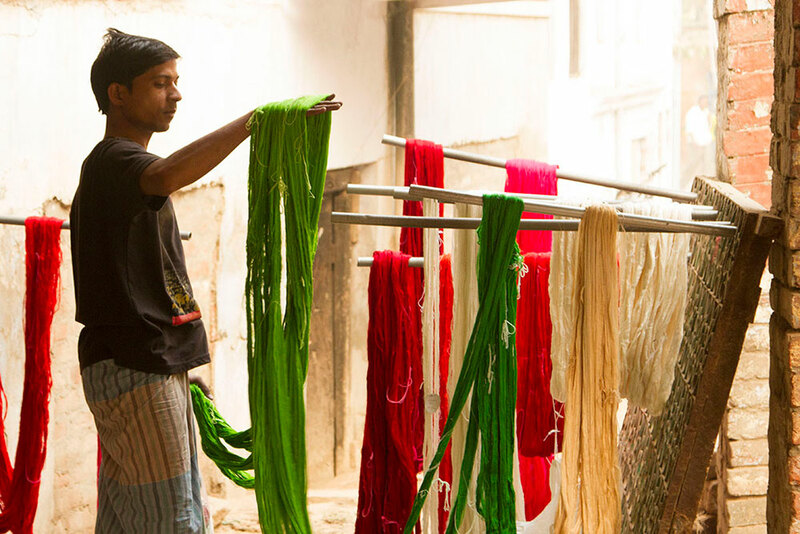 The weaving is done and later the dyeing process is carried on. It follows something that of a tie and dye process. 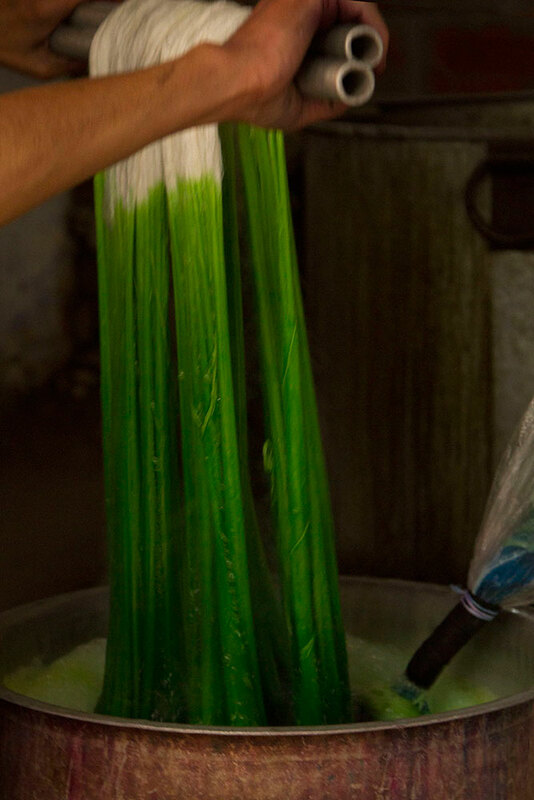 Sarees like chiffon undergo this tie and dye process (the yarn is tied where the color gets applied to the rest of the untied yarn). 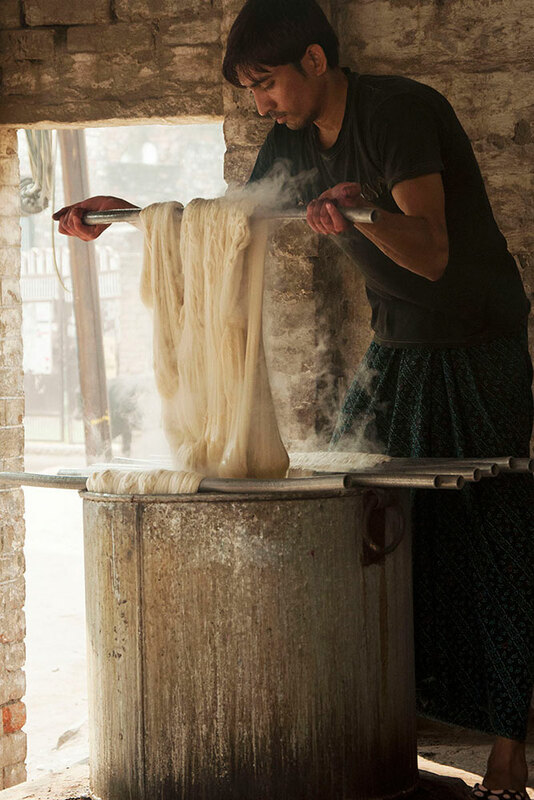 The yarn after the initial stages of processing and dyeing it is segregated to undergo warping and weft processes. 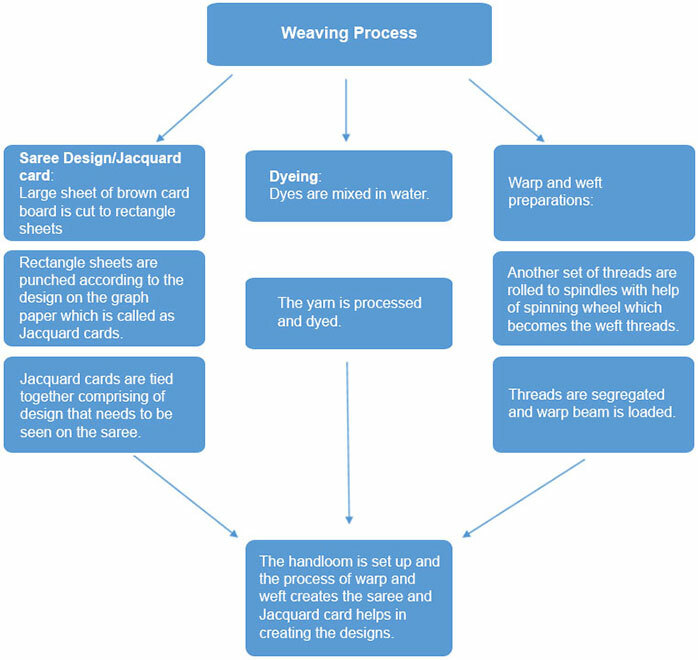 The threads are spun to spools with the help of spinning wheel to prepare the spools to load to the fly shuttle, the threads that fill up through fly shuttle is called weft. The warp threads are got ready by spreading them lengthwise creating pulls and is rolled to beam which is later fixed to the loom. 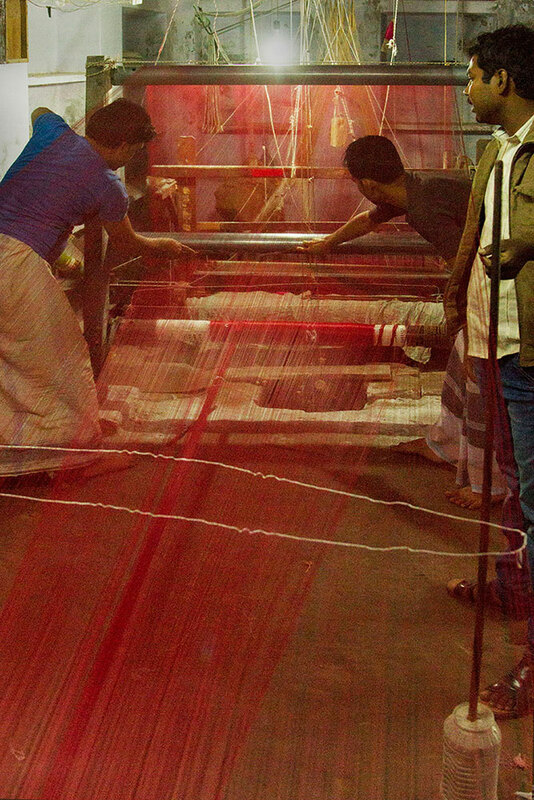 The loom is set up with the threads and the process of weaving is began before which the jacquard cards are fixed to the jacquard machine and following the cards the threads are pulled and the desired design and the saree is weaved. 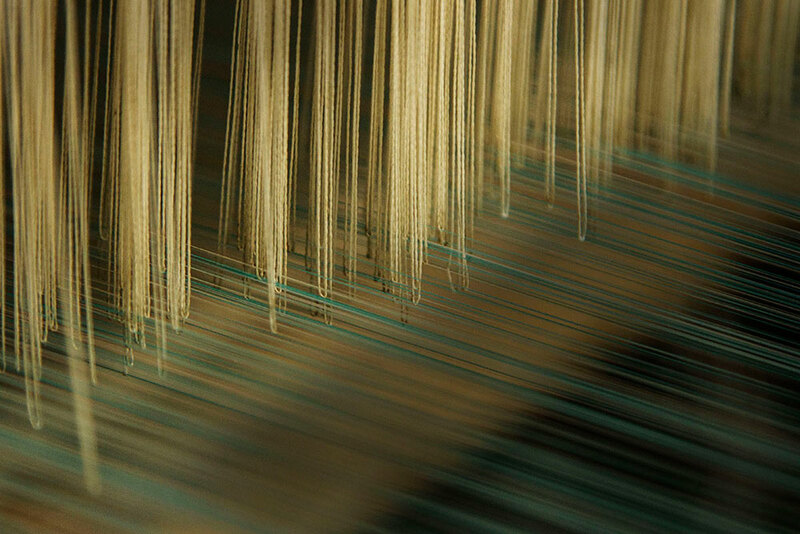 In weaving warp, craftsmen build the base that runs of the required length. 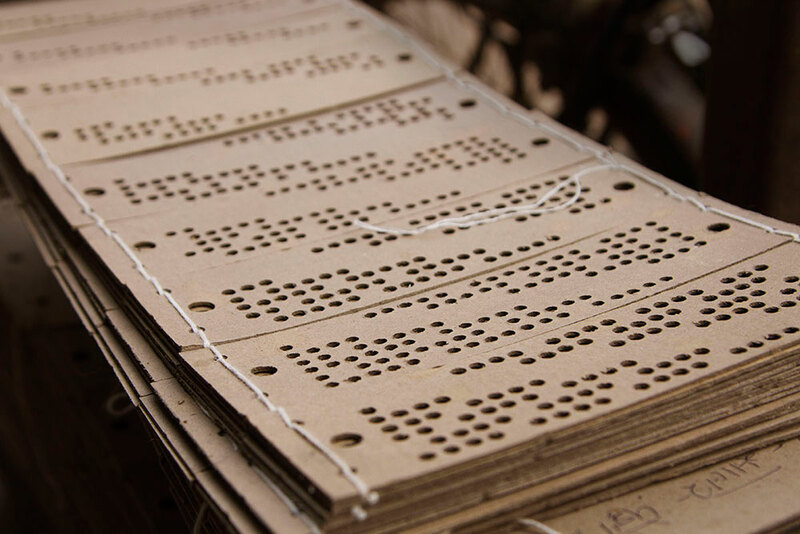 Once the punched cards are prepared those are spun with altered threads and colours on the loom allowing to design and are paddled in an orderly manner that the main weaving picks up right colour and pattern to produce the design and weave as well. 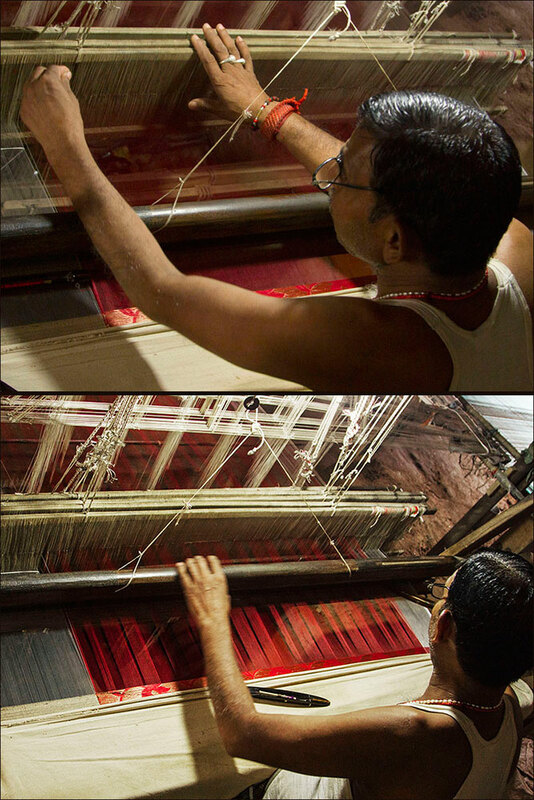 Bhiraj Kumar Prajapati who runs Handloom and power-loom at Varanasi, explains about the threads that run through reeds. 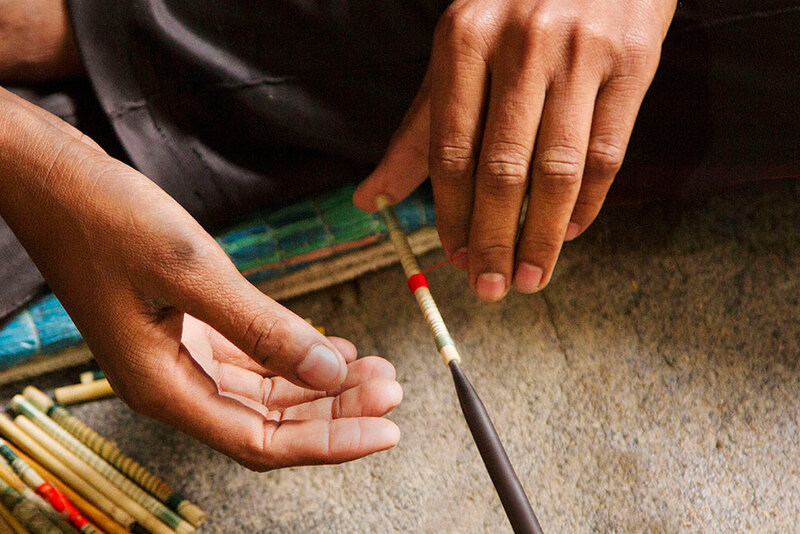 Locally the reed is also called as fany, and is called in numbers like reed 108 which means that 108 threads make an inch or contains 108 threads. In an inch there will be columns in which two threads run together. Reed 120 is used for fatter threads. The designing of graph paper is done in the same calculations. 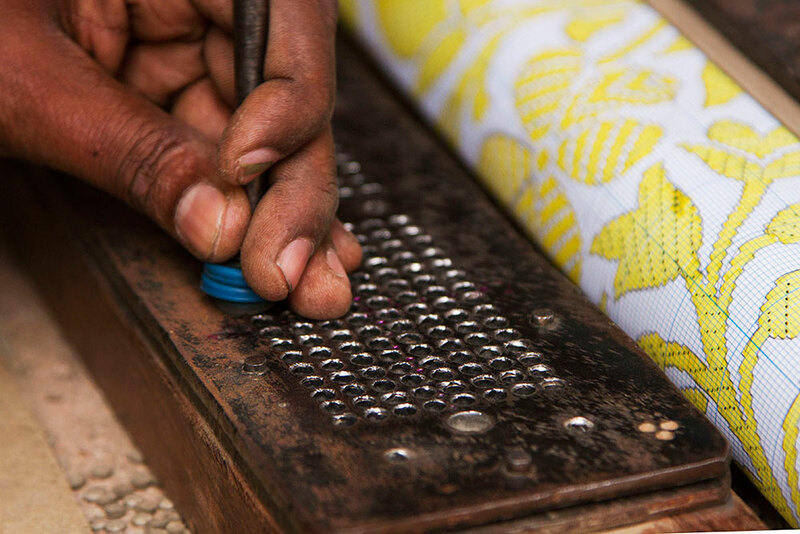 For every inch of saree that is going to be weaved, design is done accordingly, inch wise. 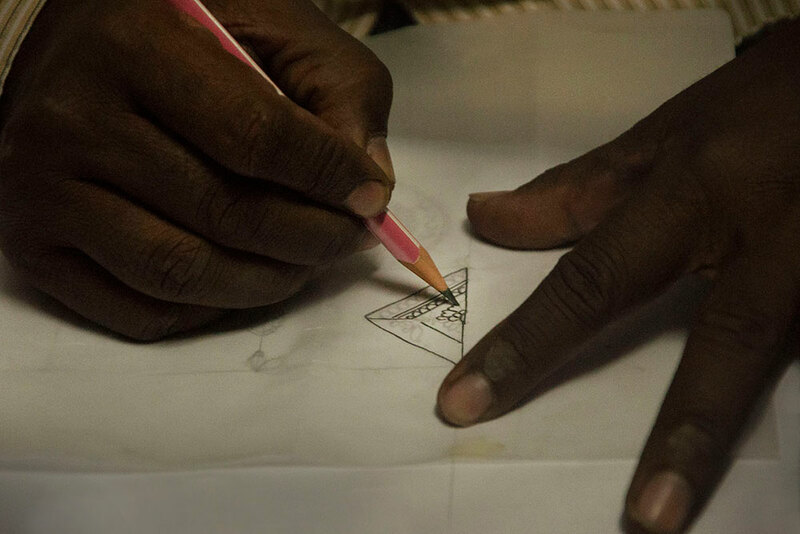 If the designs are symmetrical then only half of that design is drawn and the rest of the design is traced. Sometimes there are additional set of threads merged into the weft between the regular weft threads to bring up the attractive design supplementary to the elementary weave.